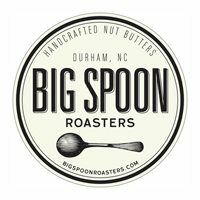 Big Spoon Roasters makes handcrafted nut butters and wholesome snack bars from scratch in Durham, North Carolina. Our carefully selected ingredients are sourced directly from local and like-minded producers who share our dedication to authentic quality. Each small batch is roasted, milled, and packaged while still warm to produce nut butters and bars that are uniquely fresh, delicious, and nutritious.